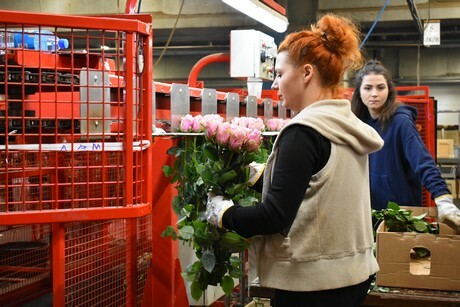 The journey of the rose from a Kenyan grower to the consumer is all about efficiency, getting as quickly as possible from one cold store to the other to keep the quality of the flower as good as possible. 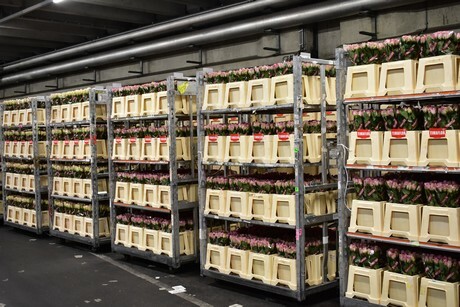 In that regard Fresco Flowers is located in a top spot: under the roof of FloraHolland with the large rose supply cold store around the corner. We took a look at this company. 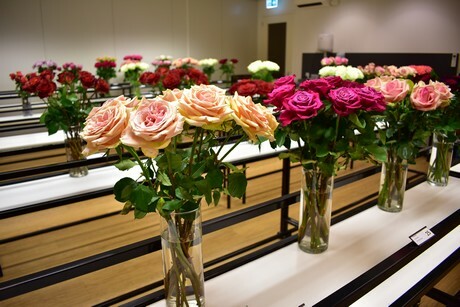 The company was founded in 2005, and has become one of the biggest suppliers of a large assortment of roses from Kenya and Ethiopia. 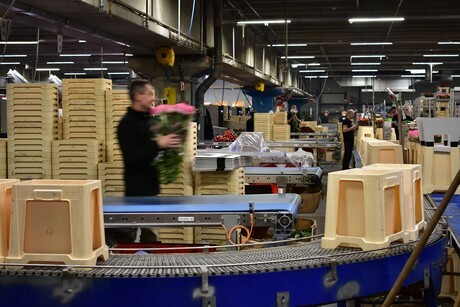 In addition to the location in Aalsmeer, a new branch was opened in Rijnsburg in September 2018. In the processing hall a group of employees is hard at work. 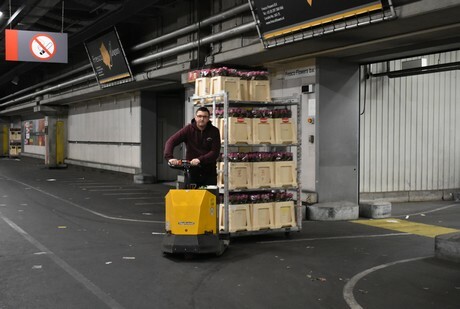 The large carton boxes are unpacked and transported away by conveyor belt for recycling. 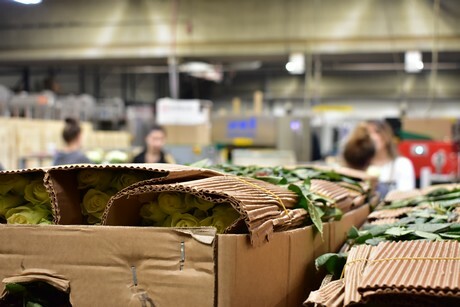 The stems are cut at equal length, bound, and packed in the grower's cover. Then they are put in water with a preparation agent to ready them for the auction. 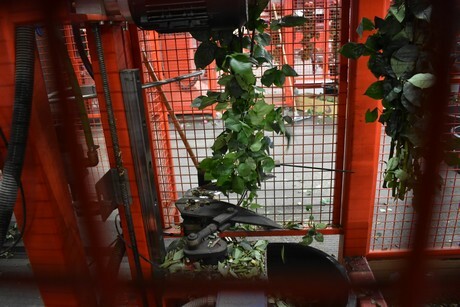 Fresco Flowers performs this process for ten growers from Kenya: Timaflor, Lolomarik, Ol-Njorowa, Rift Valley Roses, Mount Kenya Flowers, Alani Gardens, NIRP, Aberdare Roses, Kisima and Altima. 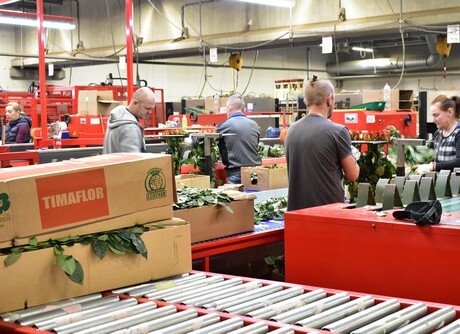 To guarantee quality, Fresco Flowers has set up a test center, in which all varieties in the assortment are closely monitored. In this space, temperature and light are controlled, and cameras are used to record the vase life. 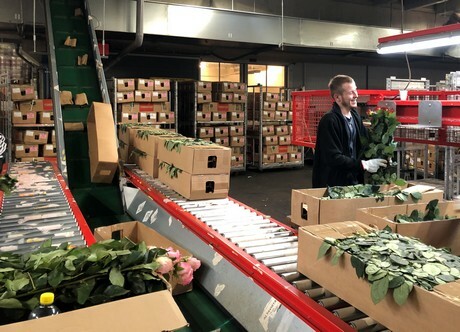 This way, Fresco Flowers not only knows the exact quality of roses they supply, but the grower also receives a quality report so they can see how his roses are doing at the end of their journey.